Looking for an apartment? Maybe you’ll find one in this new building that’s coming to Astoria – right near Astoria Cove. The Astoria residential boom rolls along, as a developer revealed plans for a 13-story apartment building and medical office just a few blocks from Alma Realty’s Astoria Cove Phase 1 site. 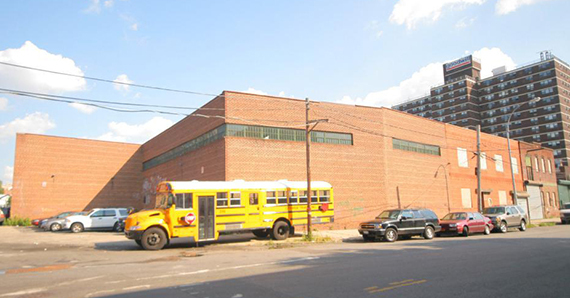 The building will be located from 26-01 to 26-15 4th Street. The building is being erected by Shan Fen Zhang of Ming & Garden Realty LLC, and the space has been owned by the current owner since 2012 – which they bought for $6.9 million. The building will have 118 units, and will span 122,510 feet – and will also have 51,470 square feet of communal space, which will be featured throughout the second and third floors, as well as rooftop. The second through thirteenth floors will featured apartments – which is quite a lot. With the direction of current real estate, we’re guessing they’re being built both for buying and renting.